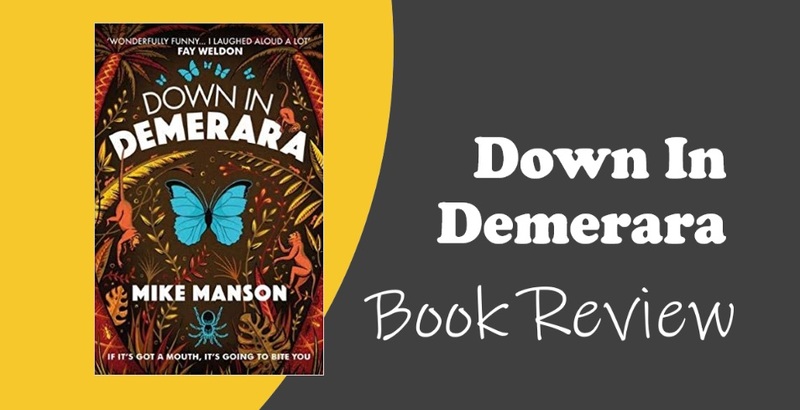 Down in Demerara – A Book Review – Write Here, Write Now! He’s something of a local legend here in Bristol, my mate Mike Manson. Always a crowd pleaser with his witty and engaging writing. Whenever there’s a literary event in and around the city, Mike can usually be found (pint in one hand, book in another!). Author of ‘Where’s My Money?’ one of BBC TV’s ‘Books that Made Britain’. Mike’s latest beaut is ‘Down In Demerara’. In this irreverently witty story, set in 1999, with a looming ‘Millennium Bug’ crisis, the book follows the fortunes of Felix Radstock. Statistician, Felix is dispatched to the rainforest of Guyana on assignment, supposedly to use his Radstock Framework (c) labour market research tool, yet he constantly finds himself being asked about a mysterious shipment of ‘computers’, often by scary local officials! This is a real Englishman abroad tale of self-discovery, love and friendship. Felix finds himself having to adapt quickly as nothing is quite what it seems, even having to cope in the depths of the rainforest – Bear Grylls style! A far cry from his life in Somerset and Bristol as an office bureaucrat. I found myself chuckling out loud in many places… and also dreaming about exotic holidays. Much of the book is based on Mike’s own experience of travelling to Guyana, and his desire to share the magic of this little-known, off the beaten track, country – the only English speaking country in South America. As well as the quirky humour of the story, there is also a serious message about the impact of mining, and relentless pursuit of ‘jobs’ and ‘wealth’ on fragile ecosystems. An enjoyable, heart warming and engaging read.